The complexity of the digital advertising supply chain can make it difficult for advertisers to keep track of the many partners and transactions involved in a single ad placement. Criminals exploit this lack of transparency to infiltrate the digital advertising ecosystem and profit from ad fraud, piracy, and the proliferation of malware. 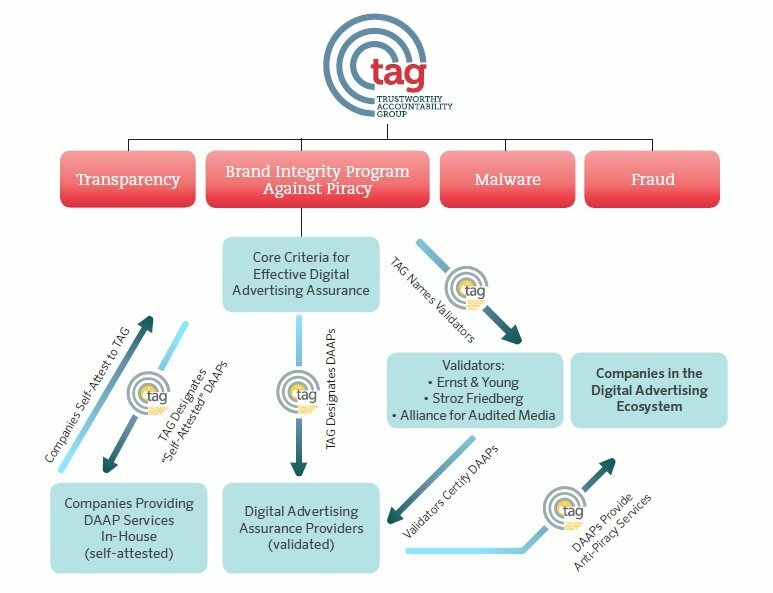 Legitimate companies now have a powerful tool to help steer clear of criminal activity in the digital advertising supply chain: the TAG Registry. The TAG Registry is a Who’s Who of trusted partners for any company involved in digital advertising. This voluntary registry identifies trusted participants in the digital advertising ecosystem, enabling companies to feel confident that they are doing business only with responsible partners and avoiding association with criminal activity throughout the entire supply chain. The TAG Registry creates a closed system including supply chain participants that demonstrate their commitment to higher standards of transparency and disclosure to their partners. TAG Registration is also the gateway for companies to participate in all other TAG certification programs, including the Anti-Piracy Program, the Inventory Quality Guidelines and other initiatives. What does TAG Registration involve? Companies interested in becoming TAG Registered should start by completing the TAG Registration Form. TAG validates each applicant company’s identity and legitimacy through a proprietary background check and review process. Approved companies will receive a “TAG Registered” seal and a unique identifier enabling them to identify their ads to partners across the digital supply chain. In coming months, TAG Registered companies will have the ability to match their unique TAG identifiers with a Payment ID system to ensure that payments made in the digital ad ecosystem are going to legitimate companies. To learn more, please download this Summary of TAG Registration Process. Reach out to TAG with your questions at info@tagtoday.net.